Baton Rouge's Corroded, Overpolluting Neighbor: Exxon Mobil The Standard Heights neighborhood sits next to the nation's second-largest gasoline refinery. Recently, residents learned a new truth about the plumes of exhaust they see every day: Exxon Mobil's aging refinery and petrochemical facilities — like many others — are pumping out far more pollution than the law allows. An evening view of the Exxon Mobil oil refinery and petrochemical complex in Baton Rouge, La. 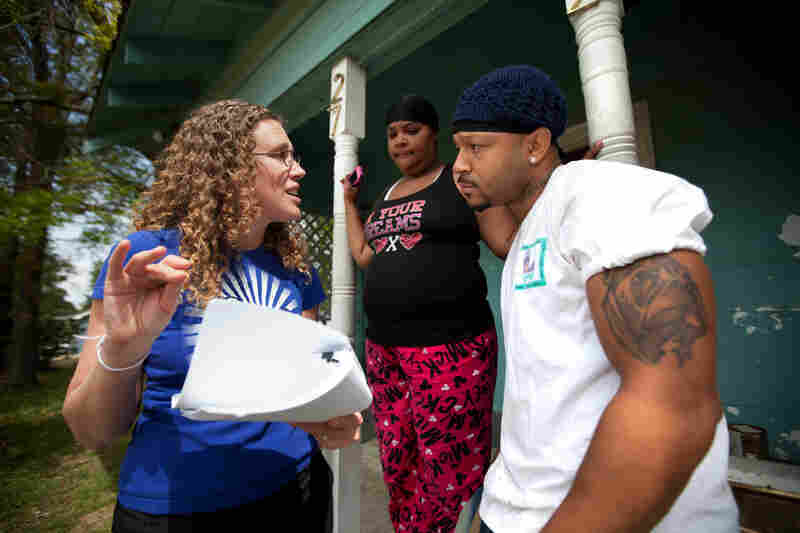 Tonga Nolan is an attorney who lives in the Standard Heights neighborhood and is active with the Louisiana Bucket Brigade, which monitors air quality around the Baton Rouge Exxon Mobil facility. Larry Alexander lives a few hundred yards from Exxon Mobil. Many of the lots around his house are vacant because Exxon bought out his neighbors over the years. Anna Hrybyk (left) talks with Standard Heights neighborhood residents Terrica Hardnett (middle) and Terrell Sylvas about the current state of the EPA's investigation into the Exxon Mobil plant. 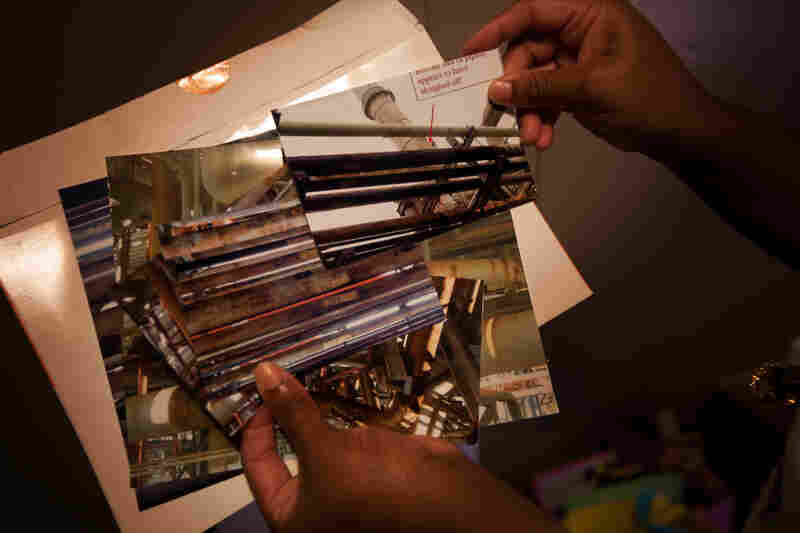 Tonga Nolan shows a folder of pictures from the EPA investigation into the plant, which found rusted pipes and leaks in many areas. Exxon Mobil is one of several companies with operations clustered together in the same part of Baton Rouge. These plants hold their products in hundreds of large tanks like this one. Scientists have found that these tanks can be a big source of toxic pollution; when the tanks get old, they can leak fumes, especially through tops that no longer fit well. If you stand in front of Almena and Sidney Poray's house in Baton Rouge, La., and look straight down the street, past the other houses and the shade trees, you see more than a dozen plumes of exhaust in various hues of gray and white. "That's something you see every day, the same thing if not more," says Almena Poray. "Sometimes it's a darker gray; sometimes it's a black smoke coming out." The Porays live in a neighborhood called Standard Heights — originally home to workers at a refinery built by Standard Oil in 1909, just after Ford introduced its Model T and made cars affordable for the masses. Now the refinery, owned by Exxon Mobil, is the second largest in the country and part of an industrial complex the size of 250 Superdomes. Tens of thousands of people live within 2 miles of the complex, which produces gasoline for much of the East Coast. The petrochemical plants inside the complex make materials used in products such as diapers, chewing gum, tires and makeup. The Porays are some of its closest neighbors. They've lived a block from the south gate of the complex for about 20 years. But in the past year the Porays and other Standard Heights residents have gained more insights about the pollution from the facility. A big accident and a surprise inspection have shown them problems inside its gates. What they've learned underlines a larger truth: Refineries and petrochemical plants are pumping out far more toxic air pollution than they're authorized to by government. This story is a follow-up to our series "Poisoned Places: Toxic Air, Neglected Communities," which was produced in collaboration with the Center for Public Integrity. The state government gives Exxon permission to pump out millions of pounds of air pollution each year from its Baton Rouge complex. But because of accidents and leaks, from 2008 to 2011 the Exxon Mobil Baton Rouge complex put out nearly 4 million pounds of volatile organic compounds, or VOCs, without the government's approval, according to data obtained from the Louisiana Department of Environmental Quality through a public records request and analyzed by NPR. VOCs can contribute to the formation of ground-level ozone or smog, which causes respiratory problems such as asthma attacks. And that amount is just what the company admits to. Studies have shown that some Texas petrochemical companies vastly underestimate their VOC pollution. A study by scientists at the National Oceanic Atmospheric Administration and North Carolina State University in 2007 showed some VOC emissions were about an order of magnitude higher than reported by this industry in Houston. An earlier study by NOAA scientists in 2003 showed even bigger underestimates. Reported emissions of some VOCs were between 10 and 100 times less than what scientists measured. More recent studies show that the underestimating continues. Exxon says its pollution does not endanger the people living near the plant. "With respect to our operations, it is definitely safe to live in the Standard Heights community," Exxon wrote in an email to NPR. But after a year in which residents learned that Exxon underplayed a big accident and then the Environmental Protection Agency found pervasive corrosion inside the refinery, some people who live in Standard Heights are skeptical. "Every time I look at the plant, that big plant, I see skull and crossbones," says Larry Alexander, who also owns a house near the Exxon Baton Rouge complex. The air in Standard Heights seemed really bad June 14, 2012. The first thing Tonga Nolan heard that day was her teenage daughter, who shares a room with her, getting sick. "My daughter woke up out of her sleep vomiting really bad," recalls Nolan, who took her daughter to the emergency room. Ernest Gordon says the smell was so terrible that his family couldn't bear it. "We left and rode to the country, because we thought something was going to happen," he recalls. These are chemicals that evaporate or turn to gas when exposed to the air. Many VOCs — including benzene, 1,3-butadiene and toluene — are on EPA's list of toxic or hazardous air pollutants because they are known or suspected to cause cancer or other serious health problems. Some VOCs also contribute to smog. When it's sunny, chemical reactions between VOCs and nitrogen form ground-level ozone, also known as smog. Breathing ozone can trigger a variety of health problems including chest pain, coughing, throat irritation and congestion. It can worsen bronchitis, emphysema and asthma. What the residents of Standard Heights didn't know was that in the early hours of that morning, workers in the plant had discovered a major accident. A product called naphtha was spilling out of a tank and turning into toxic vapor. Exxon and state officials measured levels of the VOC benzene in the facility that far exceeded the federal government's short-term exposure limits. It just so happened that on the same day of that June 14 accident, two staffers from the EPA were in Standard Heights. 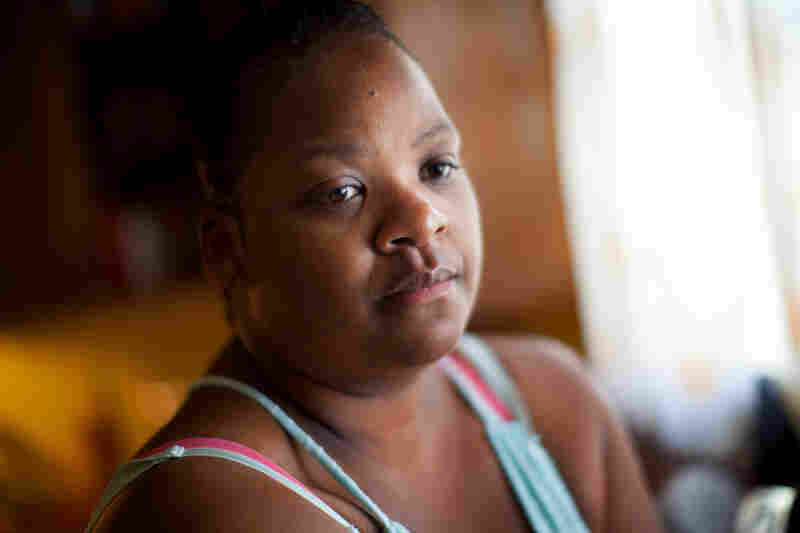 They represent the EPA's environmental justice office, which tries to address an unfair truth: People who live near big polluting plants tend to have low incomes. One place the EPA staffers stopped was Almena Poray's house. They asked what it's like to live so close to Exxon. For example, does Exxon use a system to warn neighbors of accidents? Poray brought up the mysterious bad odors her family sometimes smells. After their visit was over, Poray started to walk them outside. When she opened the back door, a horrible smell hit them. Poray says they asked if that odor was an example of what she had just been telling them, and then they rushed to their car. "They took off ... because the smell was so bad," she recalls. This composite image from the top of the Louisiana state capitol building shows the Exxon Mobil complex in Baton Rouge. "They were running to their car, and I was like, 'This is something we deal with all the time.' 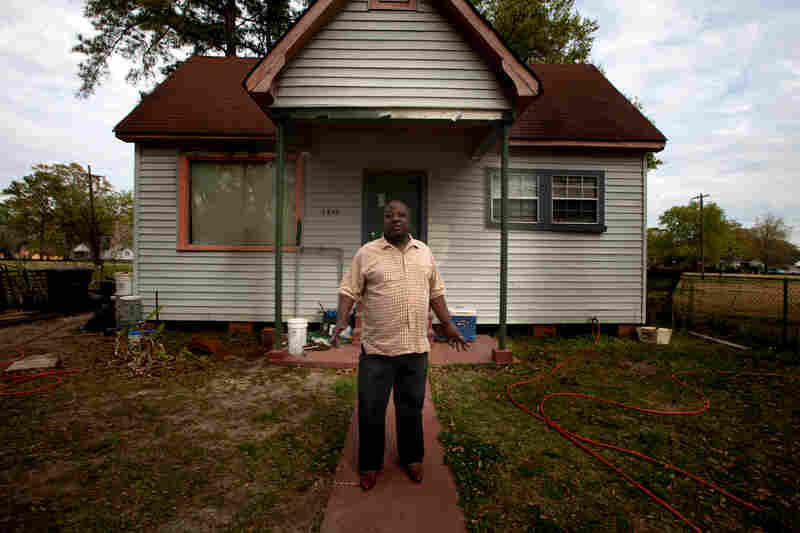 "
The EPA's Israel Anderson doesn't recall leaving so abruptly or a bad smell at the Porays'. But he does remember smelling a bad odor later that day when he interviewed another woman who lives near Exxon. He says he didn't report the smell because he didn't know where it came from. Ernest Gordon remembers that a lot of his neighbors were outside that day, talking about the burned-tar-like stench filling their houses and the neighborhood. There was no indication from Exxon that something major was happening at the complex, though. "I heard it through the television. That it was a minor leak and it was under control," recalls Alexander. Exxon's initial descriptions of the accident gave residents, the media and regulators the misimpression that the accident was small. Exxon told authorities that it had leaked more than 10 pounds of benzene and 1,000 pounds of toluene — the reporting thresholds for these hazardous chemicals. Benzene and toluene are VOCs that rapidly turn from liquid to gas when exposed to air. Breathing in enough benzene and toluene over a short time can cause headaches, dizziness and vomiting, according to the EPA. Health studies have shown that workers who routinely breathe in benzene are at a higher risk for some types of cancers. Some residents of Standard Heights posted complaints that day on an environmental group's website complaining of headaches, coughs and nausea. Local television broadcasters told a different story a week after the accident. "We're learning more about a chemical leak at the Exxon Mobil plant last week. In fact, the leak containing benzene is turning out to be much larger than originally thought," said one report on WAFB local television news. Then in August, Exxon told regulators it had released 31,000 pounds of benzene in the June accident. That's nearly as much benzene from one accident as the whole Exxon refinery reported emitting over the previous two years, according to the EPA's Toxic Release Inventory. It also released more than 13,000 pounds of toluene, and 18,000 pounds of other VOCs. Because of the way Louisiana regulators categorize pollutant emissions, the "unauthorized" designation is an underestimate. The category doesn't include other unauthorized emissions that plants release when they're maintaining, starting up or shutting down equipment. The Statewide category includes all regulated industrial facilities. But according to state officials, Exxon didn't warn them of the likely magnitude of the spill early enough. As a result, the Louisiana Department of Environmental Quality cited Exxon with a violation. State officials say they might have done more to test the air quality in the neighborhood or evacuate the neighborhood if they had known more about the magnitude of the release. Neighbors like Alexander say they felt lied to. "All the poisons they're putting out in the community and they expect us to live in it and progress in it and thrive in it. It can't be done." In email responses to NPR, Exxon said it tested the air around its boundaries on the day of the accident and found no indications that harmful levels of pollution escaped from the refinery. "Neighbors did not need to take action because there was no evidence of any impact to the community," Exxon wrote. Accidental spills like this one and leaks from old equipment are one of the ways refineries and petrochemical plants are releasing more pollution than they're allowed. State emissions data from Texas and Louisiana – where nearly half the nation's refineries are located — back this up. In Louisiana, refineries and chemical plants reported releasing nearly 7 million pounds of VOCs between 2008 and 2011 without the state's permission. Exxon's Baton Rouge plants were responsible for more than half of that. In Texas, plants put out nearly 30 million pounds of excess VOC emissions over the same four-year period from accidental releases. The amount from accidental releases is about 7 percent of all their reported VOC emissions, according to data obtained from state regulators and analyzed by NPR. Emissions Events such as accidents, as well as discharges from Scheduled Maintenance, Startup and Shutdown activities, are all types of unauthorized emissions, according to the Texas Commission on Environmental Quality. The Statewide category includes all regulated industrial facilities. In California, another big refinery state, a Chevron plant in Richmond burst into flames after a corroded pipe ruptured on Aug. 6, 2012. Chevron says it released thousands of pounds of sulfur dioxide and other chemicals into the air. Some 15,000 people sought medical treatment for breathing problems, heart pains and other complaints. Exxon's chemical plant in Baton Rouge alone pumped out millions of pounds of toxic, flammable chemicals into the air for three months before the leaking pipe was discovered in 2010, according to an incident report on the Louisiana Department of Environmental Quality's website. The majority of the chemicals that escaped were propylene and other highly reactive VOCs. Last summer, the EPA sent an unannounced inspector to the Exxon Mobil Baton Rouge complex. EPA officials told NPR they won't discuss what they found, because the agency is still deciding whether to charge Exxon with violations. But the inspection report is public. Anna Hrybyk, an environmentalist from the Louisiana Bucket Brigade, pried it out of the EPA using the Freedom of Information Act. Her New Orleans-based environmental group has been tracking accidental releases of air pollution from refineries in the state to put pressure on companies to clean up. For years, she's been visiting neighborhoods around the Exxon Baton Rouge complex. As soon as she received the EPA report, Hrybyk went to Standard Heights to show some of the neighbors the eye-opening photos of what it's like inside Exxon. -- "[S]ignificant corrosion on a majority of the pipes" in a key area of the refinery called the hydrocracker. -- Metal sloughed off the bottom of a pipe that EPA believed carried high-pressure hydrogen. -- Valves wrapped in garbage bags and secured with duct tape to protect them from corrosive vapors when a certain unit is started up, according to what workers told the EPA. The EPA report criticizes Exxon's failure to address this problem, which could escalate and injure workers. -- Pervasive corrosion in parts of the refinery where the machinery that makes gasoline, diesel and jet fuel are located — the powdered catalyst and hydrocracker units. -- Overdue inspections on 1,500 underground pipes, 57 of which burst or leaked when workers finally inspected them. -- Serious accidents that Exxon failed to report to the EPA. The EPA wants to know about accidents because they can be warning signs that more catastrophic accidents could be on the way. -- Failing to report known leaks for three years. Hrybyk believes this report is evidence of what she's been saying all along: Exxon has failed to maintain its facility, putting workers and the community at risk. "I think the public should be shocked about how the richest company in the world maintains its refinery," she says. One of the residents to whom she shows the photos is Sidney Poray. At first he doesn't seem surprised by all the corrosion in the plant, but then Hrybyk tells him something that shocks him. "You saw that they are going to expand?" she asks. "Who, Exxon?" he says in disbelief. "You got the money to expand, but you can't get this up to date? Come on." After reviewing the EPA inspection report, the national United Steelworkers union issued a statement saying it reflects a "universal" problem in the industry. Refineries are old, and mechanical and corrosion problems like the ones highlighted in the EPA report have caused accidents that injure and kill workers. In emails to NPR, Exxon stresses that it spends tens of millions of dollars a year to inspect and maintain its equipment, and since last year's June 14 accident has increased its inspections and its efforts to detect leaks and fix them. Industry representatives and state regulators say Louisiana's refineries and chemical plants are concerned about their air pollution and are working on ways to cut down accidental and unauthorized releases of toxic chemicals into the air. The Louisiana Department of Environmental Quality says its data show unauthorized releases of air pollution were down 41 percent between 2008 and 2011. "Although the numbers are good and the trends are doing well, we still need to do better," says Chris John, president of the Louisiana Mid-Continent Oil and Gas Association. Already there are fewer days than there used to be in Louisiana when the air has unhealthy levels of smog. The same is true in Houston, which is home to more than 100 refineries and petrochemical plants. How Much Do Plants Really Pollute? 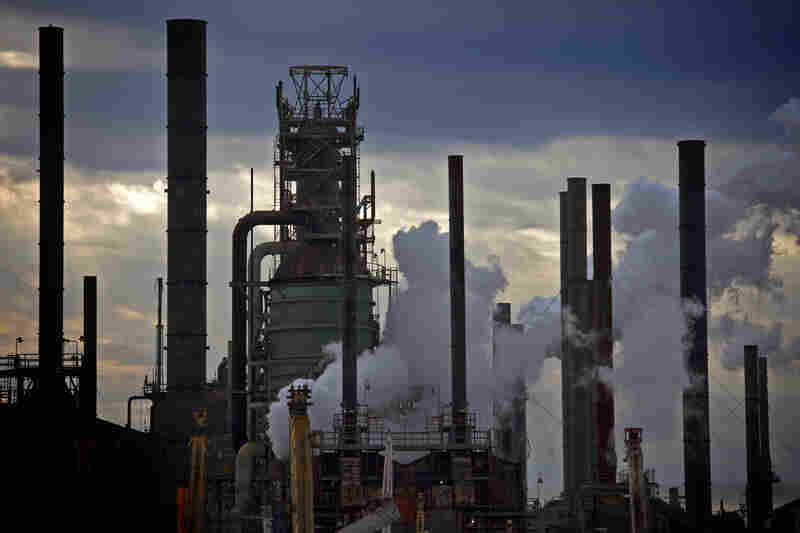 But industry engineers say the pollution from chemical plants and refineries remains far worse than the industry or even the government admits, and plants could do more to reduce their pollution if they would use the high-tech equipment that is available to find their worst leaks. As of now, the industry uses a lot of estimates to determine how much pollution plants pump out. Plants do this by using calculations that are approved by the EPA. In some cases this involves some actual measurements of emissions coming from various components. But often no measurement is involved. When scientists measure the air downwind of these plants, they find the plants are pumping out on average seven to 10 times more than they report to the government, according to Cuclis' analysis of various studies. It's basically like the emperor wears no clothes. The companies and the EPA know that the plants are not accurately reporting. But the EPA doesn't require the tests that would find out the truth. "Some companies will deny that they're not reporting the right amount. But all the studies we have in Houston and those they've done in Europe show the same thing. Emissions are substantially higher," says Cuclis. Cuclis has briefed the EPA on these studies. Technical documents and PowerPoints by EPA officials make it clear they've understood for at least six years that plants are underestimating their pollution. When researchers first started using high-tech measuring equipment to quantify pollution from refineries in Sweden in the 1990s, they found emissions that were 10 to 20 times higher than refineries had estimated. 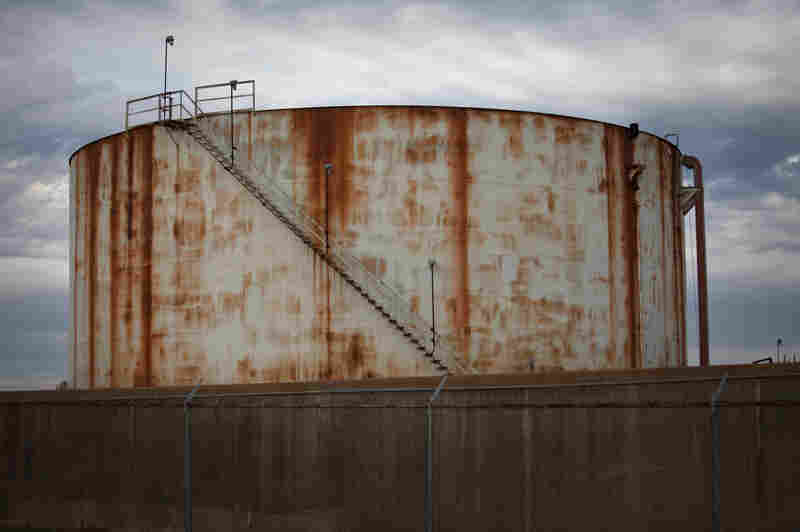 The studies helped the refineries there find their worst leaks, such as those from old storage tanks, and fix them. More recent measurements have found Swedish refineries were actually polluting much less, but still three to 10 times more than calculations would suggest. Cuclis also has repeatedly offered to explain to refineries and petrochemical plants how they can measure their true emissions and locate their biggest leaks. But, he says, they "turn their head and walk away." "It's been a long frustrating journey, that's for sure," he says. Cuclis isn't the only one getting turned down. Earlier this year, the EPA asked 17 Gulf Coast refineries and chemical plants to participate in a voluntary program to reduce pollution. Exxon Mobil Baton Rouge refused. So did the other plants, according to EPA spokesman David Gray.